I made this card for a niece's birthday. 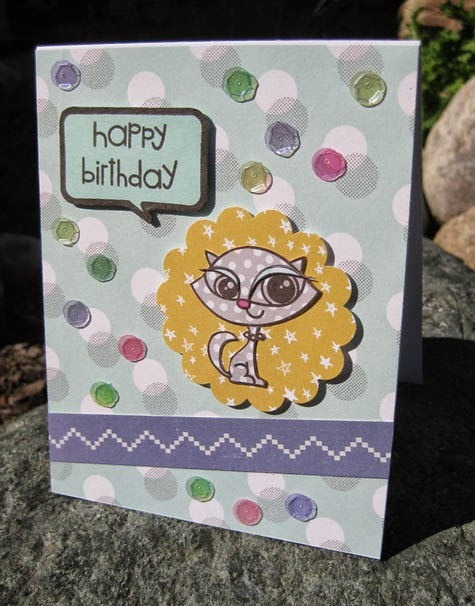 She is a teenager so I thought she'd like the cat from the Party Posse set by Paper Smooches. The sentiment is also from that set. I used some glue dots to adhere neon sequins to the card for some fun. 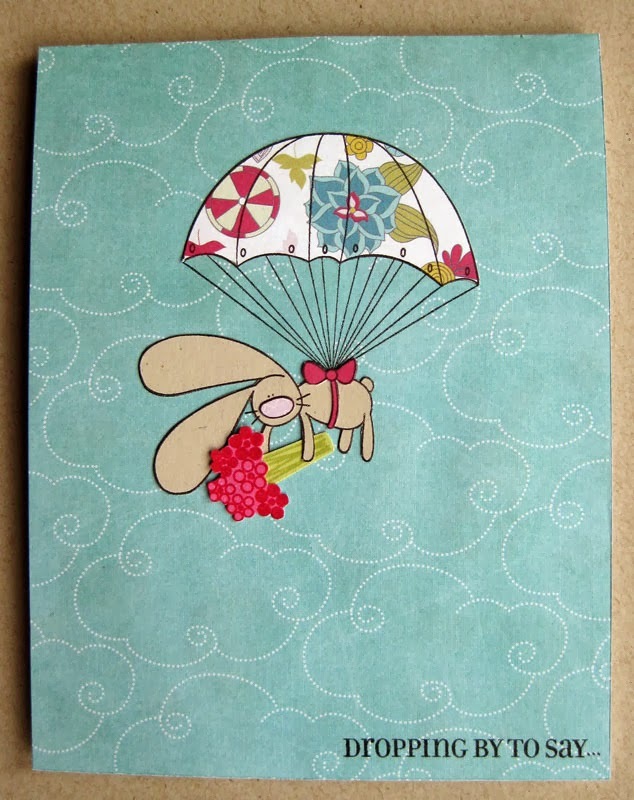 The adorable parachute bunny is from The Cats Pajamas stamps and is called "Oh Chute!". The flowers are from a PTI set. 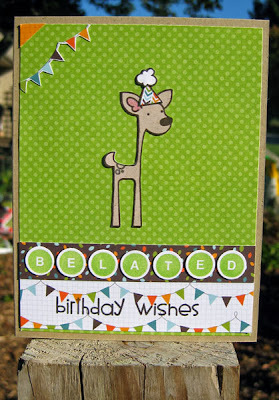 I just LOVE the deer stamp from Paper Smooches' "Happy Camper" set. The party hat is from their "Party Posse" set. Paper is Lawn Fawn. The piggy stamp is from Paper Smooches' "Green Acres" set. 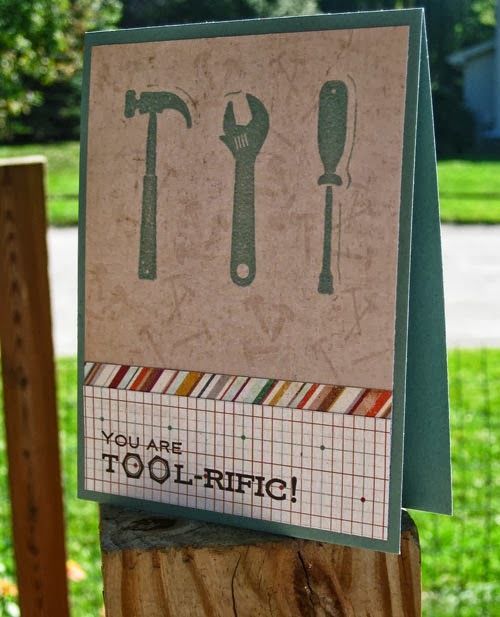 Tool card made with fun stamp set from Amuse Studio called "tool-rific". You probably can't tell, but I watermark stamped screws and nails in the background. 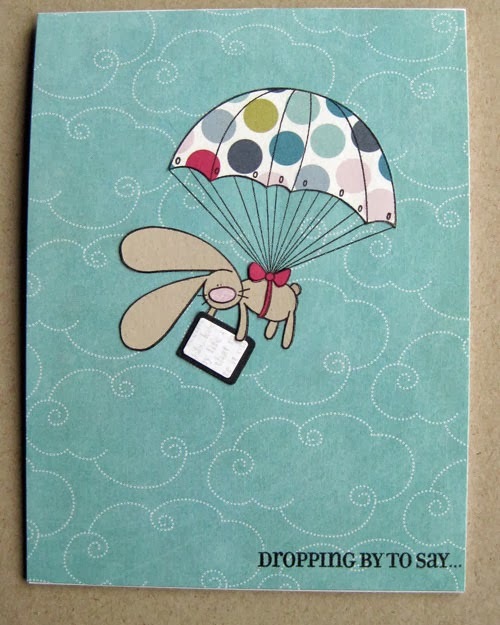 I made a special e-reader to add to the card that the bunny is holding. I even stamped words on the "screen". The adorable parachute bunny is from The Cats Pajamas stamps and is called "Oh Chute!". Hi Dawn! Your cards are Awesome!! Love the cute bunny hanging on the parachute, and the deer and the little piggy. Great designs and they are so fun!! Love your style! 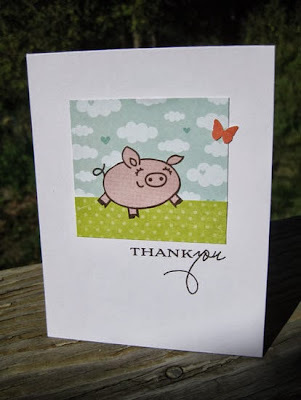 Thanks for stopping by my blog and for your sweet comment. I really appreciate it:) Have a great week! !